Becoming a teacher for social justice is a journey that takes time, practice and reflection. How can public education meet the needs of the diverse peoples who live in our democracy? Join a supportive, learning community of 40 teacher candidates and three faculty members in an interdisciplinary program leading to teacher certification. We learn together in an environment of cooperation and collaboration. You need to know your subject matter before you start the Master in Teaching program. Learn more about what subjects you can teach, and what courses and tests you need to apply. Candidates in the cohort 2018–20 will take courses at the Olympia campus. This full-time program integrates essential teaching skills and rich intellectual explorations on the nature of teaching, learning, and schooling. Your practical experiences in classrooms will begin in the first quarter. The program is a total of 96 quarter credits. There are no night, weekend, or summer quarter courses. When you successfully complete the program, you will have earned both a Master's degree and a recommendation for the Residency (first) Teacher Certificate for Washington State with your endorsements. The MiT program meets all Washington State standards for beginning teacher competence and is approved by the Professional Educator Standards Board. The quality of our program is recognized by teachers and principals throughout Washington State and beyond. Christina Vernon, MiT 2014, works with students in a regional middle school. All your coursework is taken in a single, 16 credits per quarter, interdisciplinary program, much like Evergreen undergraduate programs. There are no separate courses. MiT forced me to lay the foundation around my own values when it comes to how I approach kids and my job every day. You will also take part in workshops focusing on instructional strategies specific to your endorsement. Weekly, smaller seminars are used for reflection on one’s values and worldviews, and for discussing readings covering the larger social issues involved in teaching in a democratic, multicultural society. During the first year, you also will be placed in a K-12 classroom for a weekly field experience. Over time, you will become increasingly involved in working with students. After a period of observing classrooms at all levels, you will spend the rest of the school year in a single classroom. You will have increasing levels of responsibility in the classroom, including planning and teaching mini-units to the class. During year one, candidates should anticipate being in class on campus or in a K-12 classroom four days a week. Your faculty will give you a narrative evaluation at the end of year one. Hayden Zabel, MiT 2018, works with high school students during his practicum placement. Part of our commitment to social justice is to prepare you to ensure all students learn. Thus, in your second year, you will take on two student teaching assignments. Each assignment will be at a different grade level in a different school, both matching your endorsement areas. One assignment will be in a diverse setting, which will include ethnically and socioeconomically diverse students. Generally, fall placements will be with the same school and teacher as your first year practicum. Fall student teaching lasts from mid-August until just before Thanksgiving. Spring student teaching lasts from mid-March until early June. I have to meet students where they are and show them why my content matters to them. This is an ongoing, challenging, and fascinating part of teaching. When it happens, it is exhilarating. Evergreen’s MiT Field Officer, Loren Petty, finds you appropriate mentor teachers in public schools in Thurston County, Mason County, Pierce County, or Lewis County within 40 miles of the Olympia campus. The 2017-2019 Tacoma cohort may include placements in south King County. Your mentor teachers provide you on-going guidance, and one of your MiT faculty becomes your student teaching supervisor. Your supervisor observes your teaching to identify areas of strength and areas requiring growth. You meet with your supervisor after observations to discuss issues that arise and strategies to improve your skills. Learn more about how student teaching works. In between your student teaching quarters, you will spend winter quarter creating a Master Project and a Professional Growth Plan (PGP). Your Master Project is a research and writing project. Candidates present their projects at an event open to the public and attended by Evergreen’s Professional Educator Advisory Board. Your PGP is a Washington state requirement for your teaching career. It includes areas you want to target for professional growth and activities you will engage in. Your faculty will give you a narrative evaluation every quarter during year two. Trinity Sokol, MiT 2013, student teaches at a regional elementary school. During fall quarter student teaching, you will submit your Teacher Performance Assessment (edTPA). This portfolio includes video and essays to show your skills in planning, instruction, and assessment. The edTPA is scored by outside evaluators as required by state law for certification. During winter quarter year two, you will prepare for a job search by crafting a strong resume, collecting letters of recommendation, and participating in job fairs and mock interviews. You may begin applying for teaching jobs as soon as February. Hiring offers are usually contingent upon graduation and certification. Our hiring rate has been over 90% for the past several years. After finishing spring quarter student teaching, you will complete all forms to obtain your teaching certificate as quickly as possible after graduation. The Master in Teaching (MiT) Program's Policies, Procedures, and Resources Guidebook serves as an introduction and reference guide for MiT candidates, as well as others interested in the MiT program and The Evergreen State College. Create a classroom environment of respect and rapport. Reflect on planning and teaching—through insights gained from analyzing one’s own cultural encapsulation—to improve student learning. Understand the importance of multicultural and anti-bias advocacy for all students. Realize the value of democratic actions and decision-making with students and professional colleagues. Organize, teach, and evaluate lessons that reflect state and national educational reform expectations, including the integration of math, sustainability, and the arts across the curriculum. Design and implement engaging, student-centered, thematically-based instructional experiences. 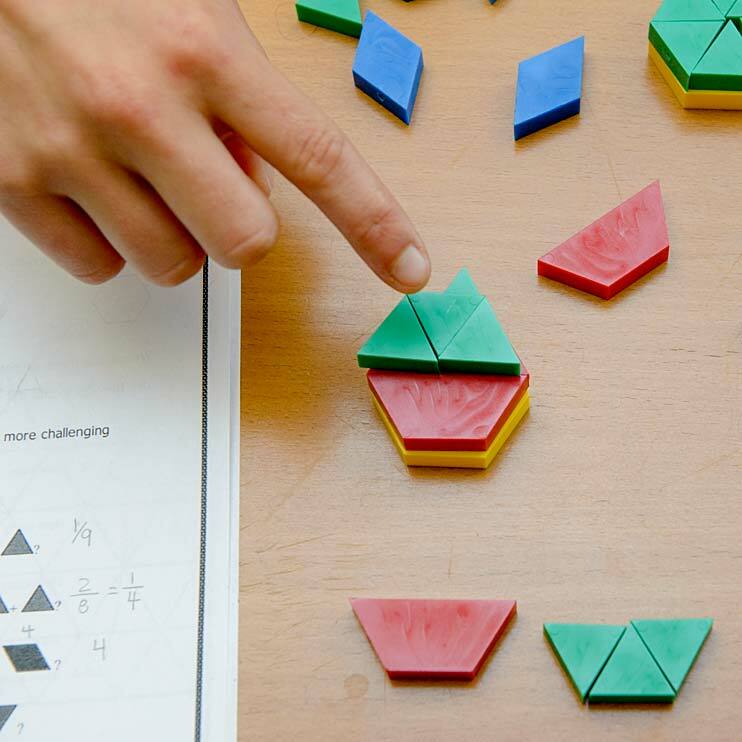 Work with different-sized groups of students. Demonstrate a positive impact on students’ learning.